So you've heard of "buy here, pay here" used car dealerships in AZ. But do you know what that actually means or what they do? Are you researching used car dealerships in AZ? Before you decide to visit one, it’s important to keep a few things in mind. First off, if you aren’t familiar with auto credit processes, you should definitely take a moment to check out some “Buy Here, Pay Here” dealers as you don’t want to end up committing to an auto title loan that doesn’t work well with your income or budget. By researching special programs or loan offerings that used car dealerships in AZ have to offer, your experience searching for a purchasing a vehicle will be much less stressful. Check out the top 5 tips that the experts at Auto Action have to offer when browsing through used car dealerships in AZ and choosing the one that suits you best! Even if you happen to know what your credit score is already, it’s best to take the time to review your credit rating just to ensure that you’re looking at the correct reports as it’s more common than you think that credit mistakes are made. By doing this, you’ll have a much better idea of what to expect when you walk into the dealership. In addition, it’s important to know that you will never get away from past credit problems. Any dealer is going to find out everything they need to know about your financial past, so hiding any missed payments or past bankruptcies is a waste of not only your time but also the dealers. It’s not uncommon for dealers to trick you into buying and taking a car home immediately without you fully understanding the financial processes that coincide with purchasing that vehicle. In fact, some dealers will let you drive your new vehicle for a short time and then inform you that there is a problem with your application and force you to pay a higher interest rate or otherwise return your new car. It is important to make sure that you fully understand the deal in its entirety before you drive your new vehicle home. It’s important to carefully consider how much you are able to spend on a car, with or without a loan. You need to think about the upfront down payment and monthly payments that follow as well as maintenance costs, insurance bills, and the price of gas. Some used car dealerships in AZ offer “Buy Here, Pay Here” programs that are aimed to reduce out of pocket expenses like repairs with certain protection plans or warranties. If you look into taking out a loan, make sure you understand how long it will take to pay off said loan. A common mistake car buyers make is signing a contract that involves them paying off the loan for their new car after the warranty has already expired. With that, Auto Action experts highly recommend that you only carry a vehicle loan for a maximum of 5 years. Ideally, the down payment on a vehicle is about 20% of the car’s worth but not necessarily at Auto Action. Even if you are planning on buying through a “Buy Here, Pay Here” program, keep in mind that there will most likely be a 500 down used cars payment required. Make sure you have this money ready for when you are looking to make a purchase. 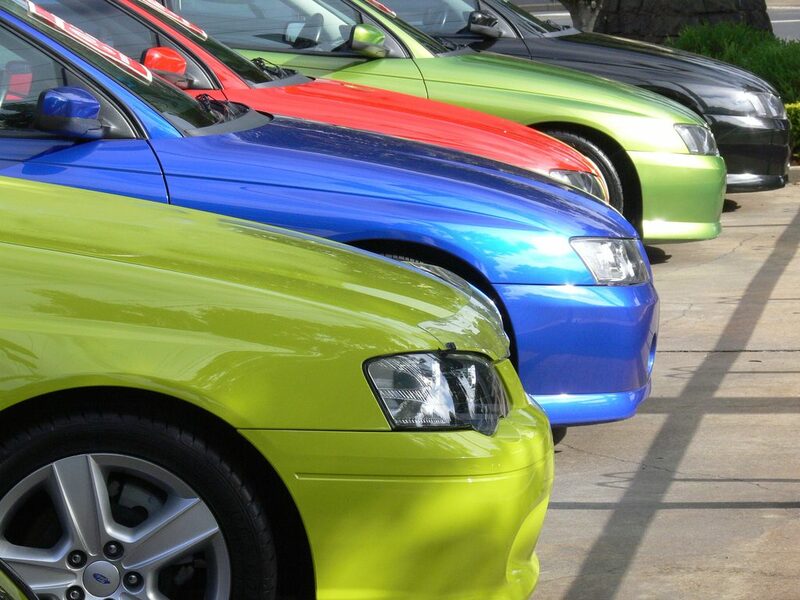 Many used car dealerships in AZ don’t include the final prices of their vehicle listings. By choosing to work with a no-haggle dealership, you won’t have to worry about any hidden costs that will raise the price of your monthly payments. All in all, it’s important for you to fully understand the contract that comes with your new vehicle. Ask as many questions as possible so that you don’t get any financial surprises later on. Be sure to keep these 5 tips in mind when searching through used car dealerships in AZ and always keep in mind that the experts at Auto Action are here for you to answer any questions. Fill out the form on the right to contact with one of our experts today!